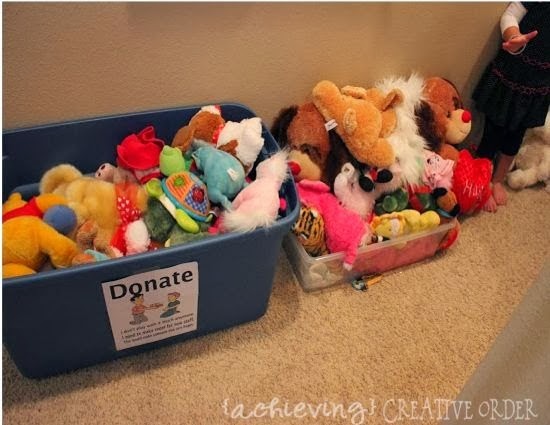 We filled a large bag with toys and I quickly dropped them off at a local thrift shop to donate. Then I got all my maternity clothes and any other clothing that I didn't wear or need and donated them. I also put together a bag of baby girl clothing, blankets and toys and gave it to a young lady that was in need. I also sold my baby swing. 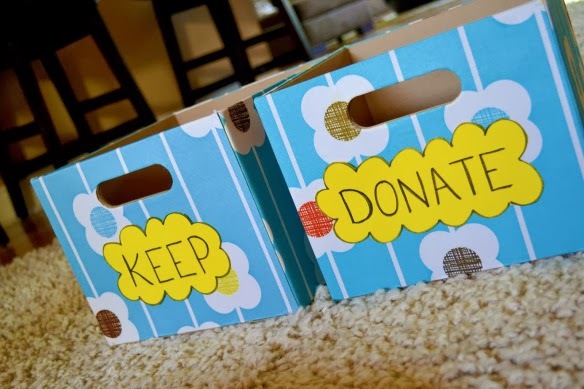 That day I took 10 large garbage bags and 8 large diaper boxes to the local thrift store and gave the young lady 3 large garbage bags of stuff. That's A LOT of crap that was in my house and you know what? I don't miss it, heck I hardly even know that it is missing or that it was even here to begin with. So really, what does that tell you. We all probably have a lot of stuff that we really don't need in our life. With purging things and un-necessary stuff, comes the realization that I get to reorganize some spaces and create new areas in my house. This year (2014) I want to be the year I finally get my act in gear. I want to organize my life, my house and my spirit. I NEED to spend more time on me, remembering who I am besides a mom. 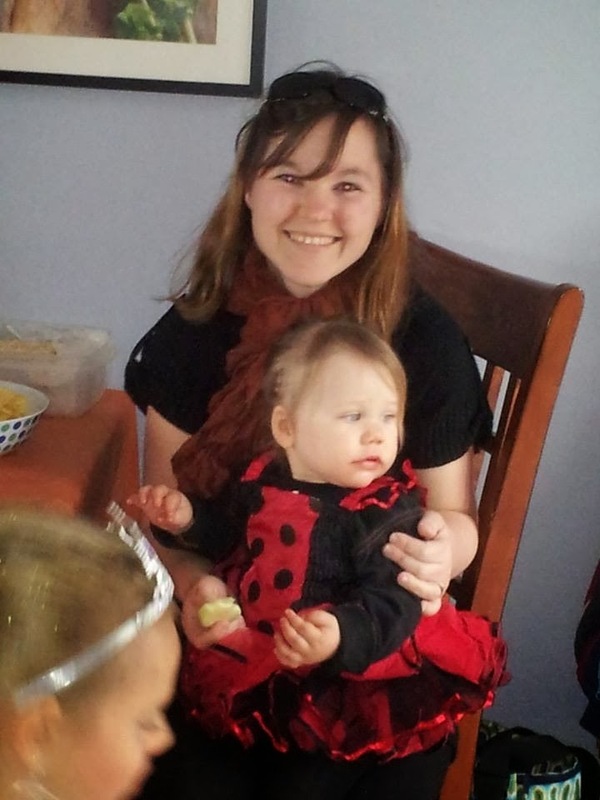 I am much more than a mom, and I need to reconnect with me. I want to be able to have an organized work space so that I am able to spend the time doing hobbies I enjoy, like crafting, party planning and design. 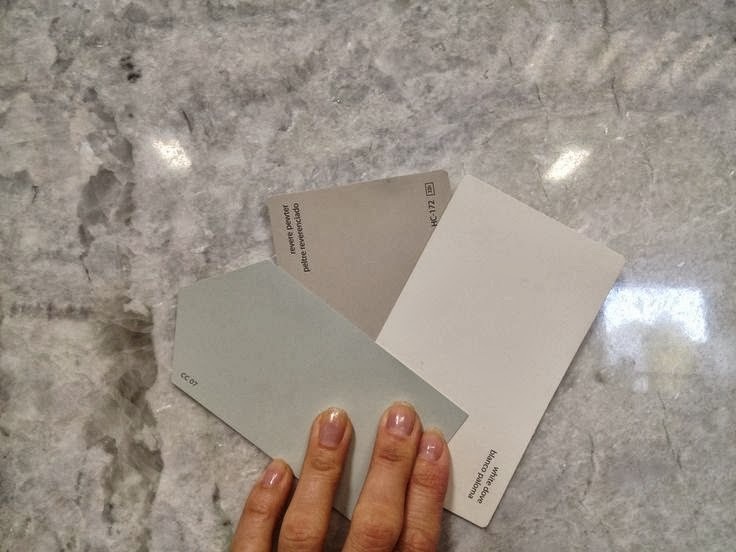 I am in the process of planning our basement renovation (which is starting in 2 months or so- YEEHAW!) and I decided that I am going to create a craft room/office for me...yup...not a play room for the kids but rather a dedicated spot area, just.for.me! So with this, I leave you. I wish I had taken pictures of all the crap I purged but I didn't, so the pictures you see in this post are from fellow bloggers. I am so sorry that I have been M.I.A for a while, life has taken over and between work, getting ready for Christmas, and having a home computer die on me, I've been swamped! I do promise that I will be back this week with some new posts. I think I am going to do a series on organization because, well frankly, the clutter and mess is really getting to me. We are in the midst of getting the basement de-cluttered and I am purging a lot because in the spring we are going full force with a basement renovation! 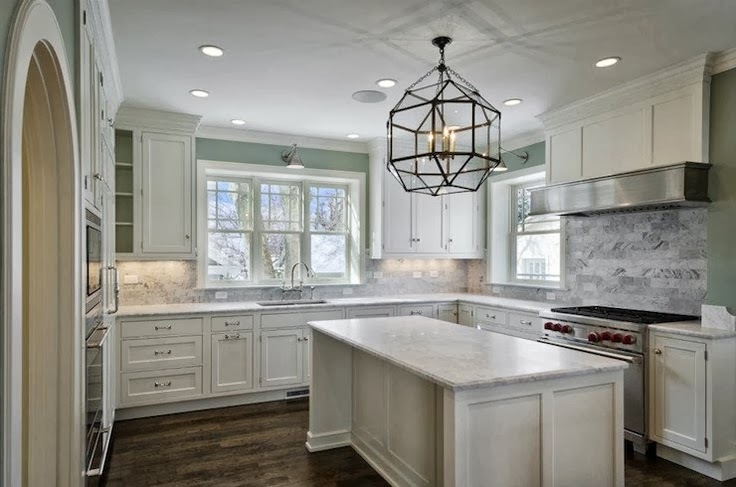 If you've seen some of my previous posts, we were debating either a basement renovation, kitchen remodel or a backyard oasis. Well, the basement renovation definitely won, hands down. I'd say it'll be the most practical decision. We'll be able to throw the kids playroom down there, a family television space with a comfy sectional and a nice area for me to do my crafts. Still wish I had a dedicated craft room, might see if I can work that into the plan somehow. Although, we are still getting a deck, french doors and **fingers crossed** a hot tub! The deck will just be a simple one, big enough for a BBQ and a patio set. We are doing some major renovations to the house in the spring. We were all over the map trying to decide what we want to get done. Do we want a deck and pool? Outdoor living in the summer is great here, but that's it. 2 (maybe 3) months of the year we would be able to enjoy a pool. Hardly seems worth it, to spend $65-$70K on renovations we can't use all.the.time. 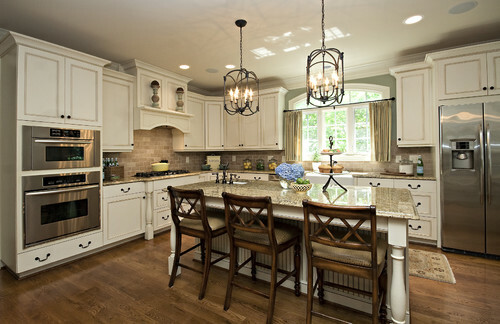 So I've decided that we are going to renovate the kitchen and the basement. The basement is a must. We need the extra space. With the kidlets getting older, the toys are getting out of control, and while we do have a playroom on the main floor I want to open that up and make it into a dining room (we host most of the main holidays at our house and our small dining room just isn't cutting it). 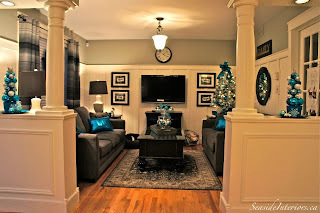 I know that this is a family room, but it is similar to what I am envisioning for the opening between my living room and dining room. The wall that we would be removing a a load bearing wall, so my theory is to have some pillars that will help carry the load. I know that we will most likely have to put in a new beam, but I totally think it will be worth it to be able to open up the two rooms. Now onto the kitchen, since we would be moving the dining room table to the "new" dining room, our current space would become an extension of the kitchen. 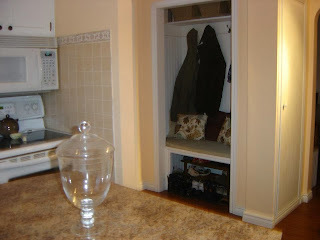 I want to take down this wall and bench and that wall next to the stove. I am loving these colors together. Very classic and I could easily add my own "splash" of color and change it when I get bored. So that is plan for now. 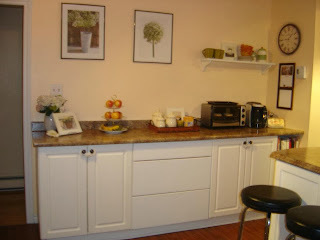 I need to get some quotes on cabinetry and counters and all that fun stuff. Wish we could start now. Joining in on the ever so famous and fabulous Kelly, Megan and Lindsay for another Trendy Tot Tuesday! 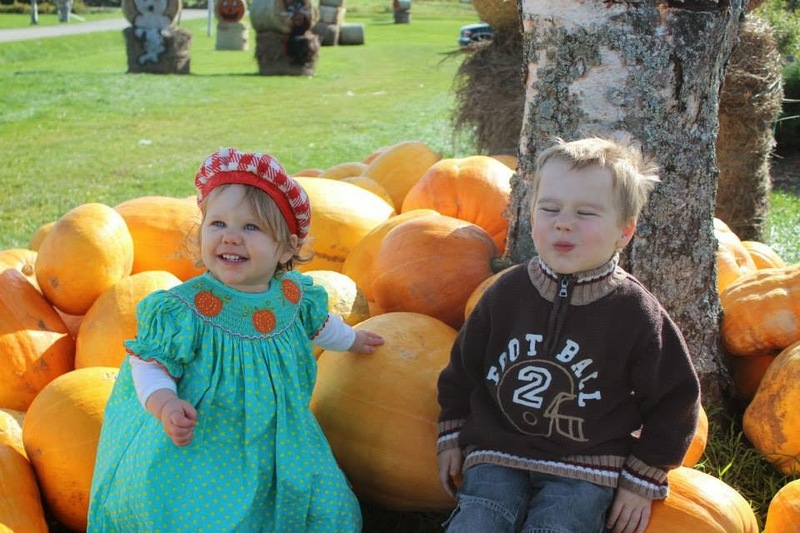 A couple of weekends ago hubs and I bundled up the kidlets on a beautiful autumn day and went out to a local farm that was having a family fun day. 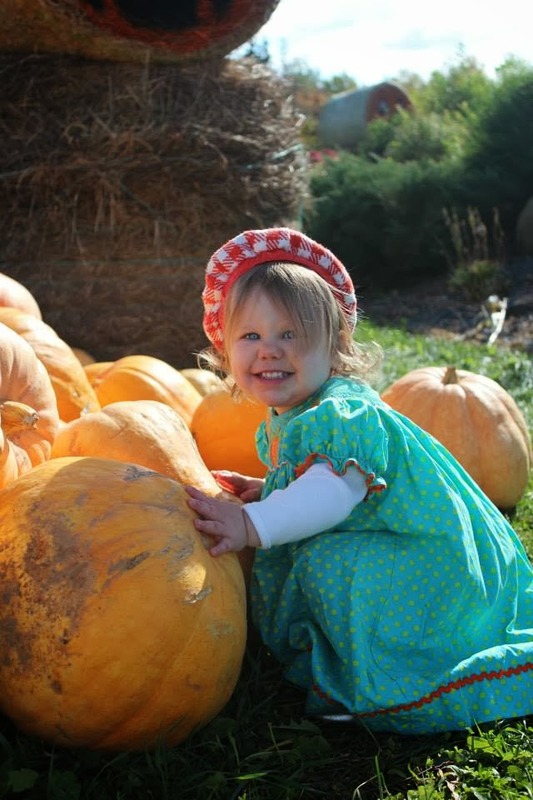 Pumpkins, petting zoo and a corn maze. The kids were in all their glory. They also have a market where you can buy fresh, local, organic fruits and veggies. We're heading out there again this coming weekend, so I'll post more about the produce in another post. 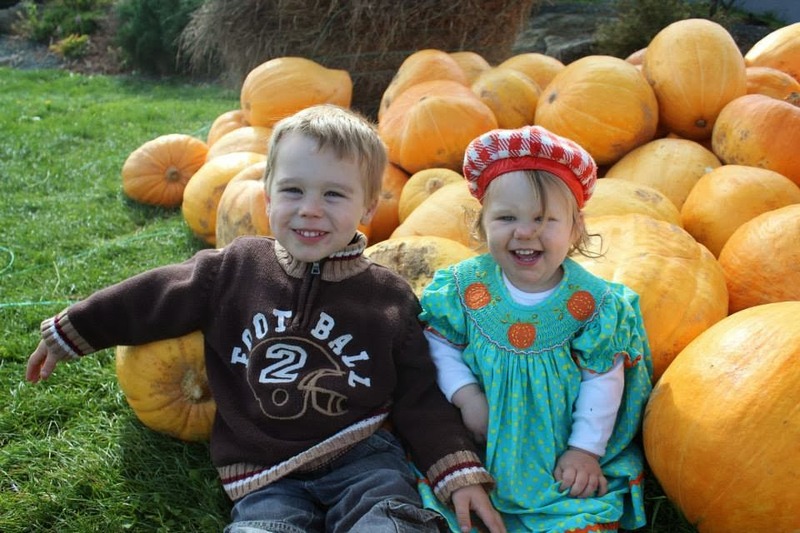 This post I'll focus solely on my children and their fabulous fall attire. Oh my little Miss M, she is truly my little fashionista, but she is also a fire cracker and I have a hard time getting her to sit still for a picture. As soon as she saw the pile of pumpkins she ran over. If you have two o more children, you will totally understand and get the next little bit I am about to type. Taking a picture with both children, looking and smiling at the camera is one of the hardest things to do! One will be looking and smiling while the other one is completely goofing off! Ugh, it is so frustrating at times but totally worth it when you finally get that great picture of the two of them. 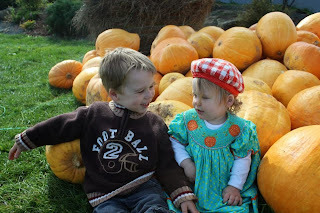 They had so much fun and I had so much fun dressing them up. Connor's sweater I found at a local thrift shop, it's a Children's Place football sweater- so fitting for fall and football season! 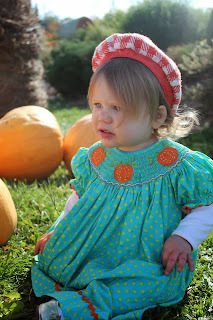 Madeline's smocked dress I bought last fall. She was growing like a weed and I thought for sure that she would be in size 24 months before she actually turned 2 (in February.) Well I was wrong, the dress is really big on her and I have a feeling we will get 2 (possibly 3) fall seasons from this dress. 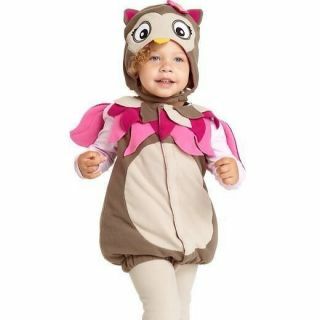 Although, it'll be hard for the shoppin' momma in me not to buy her something new for next year. Fall is possibly my favorite season, is it yours? It's been a while but I am linking back up with the ever so fabulous Kelly, Megan and Lindsay for another Trendy Tot Tuesday. 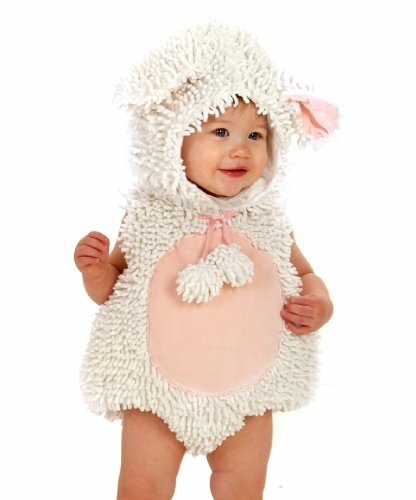 These are all so sweet and I am sure she would look adorable in any of these. We had a friend's birthday party a few weekends ago and since his birthday is in October they were having a Halloween themed party--so fun! Connor was all set, he has a million costumes that he uses as dress up. 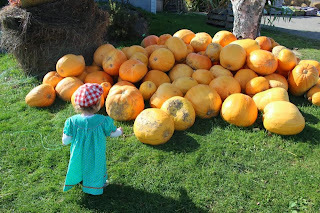 I told him to pick one and then for actual Halloween we would go and buy him his costume. He picked Spiderman. I was all set on Madeline being a bumblebee because we had the costume from when Connor was 2 but then one day I was out shopping and came across this adorable ladybug "girly" costume tutu and all!! How could I leave it!! So needless to say I didn't. She looked ever so sweet. That's my girl, she can be the girlest girl that I know and turn tomboy in 2.3 seconds flat. 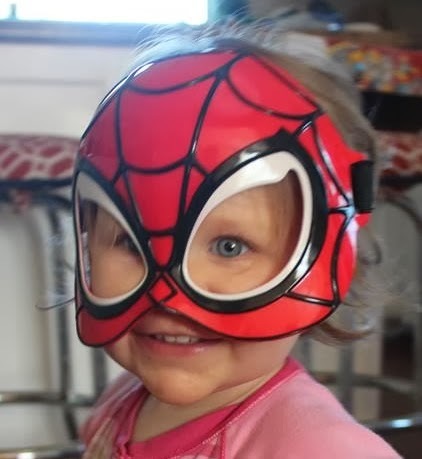 She is still going to be a ladybug for Halloween but I just know that next year if she wants to be a superhero, I'll let her. As much as mommy wants a girly girl, I want Madeline to be herself! This weekend we celebrated our baby boy turning 4. Yes, 4 years old. Hard to believe that I am now the momma of one smart, funny, amazing little boy. He loves everything from dinosaurs to robots and when I asked him what theme he wanted for his birthday and said "O-Bots" (Robots) He is in love with everything robots. So needless to say this momma aims to please. So here is a birthday picture post. Enjoy! I really wish I wasn't so indecisive, I really have a hard time to commit to something. 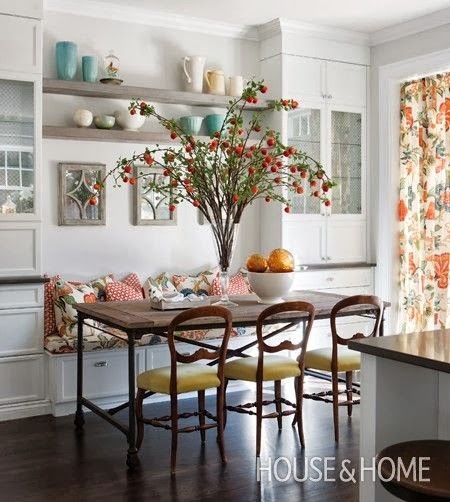 With the dining room, I "hummed" and thought long and hard about the effect I was going for. I wanted clean and contemporary, yet warm and inviting. How was I going to achieve both those effects in that room. 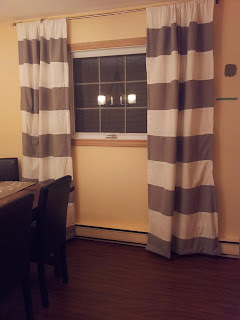 I don't think I've come to that yet, like you have seen in a previous post, I made beautiful grey and white striped curtains. I "loved" them (yes you read that right...."loved" as in past tense.) See I told you, hard at making a decision. I thought I would always love them, but they are not me. Once the room came together, it was just TOO cold and well, like hubs said "too white". Everything was grey or white and it really didn't go with the warmness we were trying to achieve. While searching the internet all weekend, trying to find that one picture that screams "that is what I want" I came across one. It was like a light come one. The kitchen has similar counter tops (well mine are laminate- but the colors are close), I just fell.in.love! and this is my counters, butterum granite. I am sorry if this dining room post turned into a kitchen renovation post. I am just itching at getting that room started. 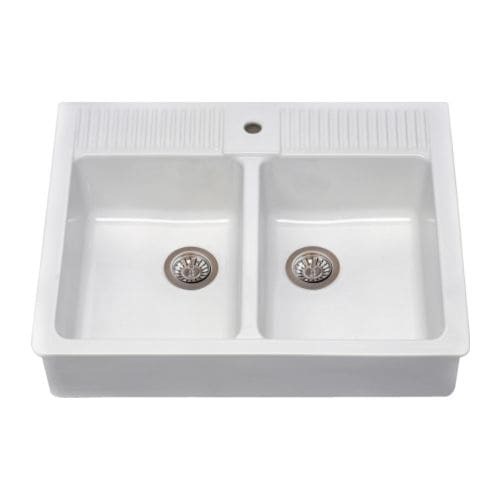 Here is the beautiful ikea sink that I want, but I just want a single bowl. Now tell me why, I still haven't figured this out yet. Ikea will ship the double but not the single bowl? I only want the single.....sigh. So now you can get a real feel for how I want my house to feel like. 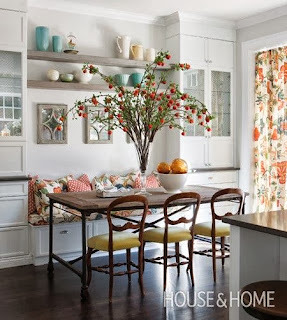 Beachy, coastal, warm and inviting and the grey in the dining room just isn't doing it for me. Although, I may be able to keep it if I change the curtain fabric. 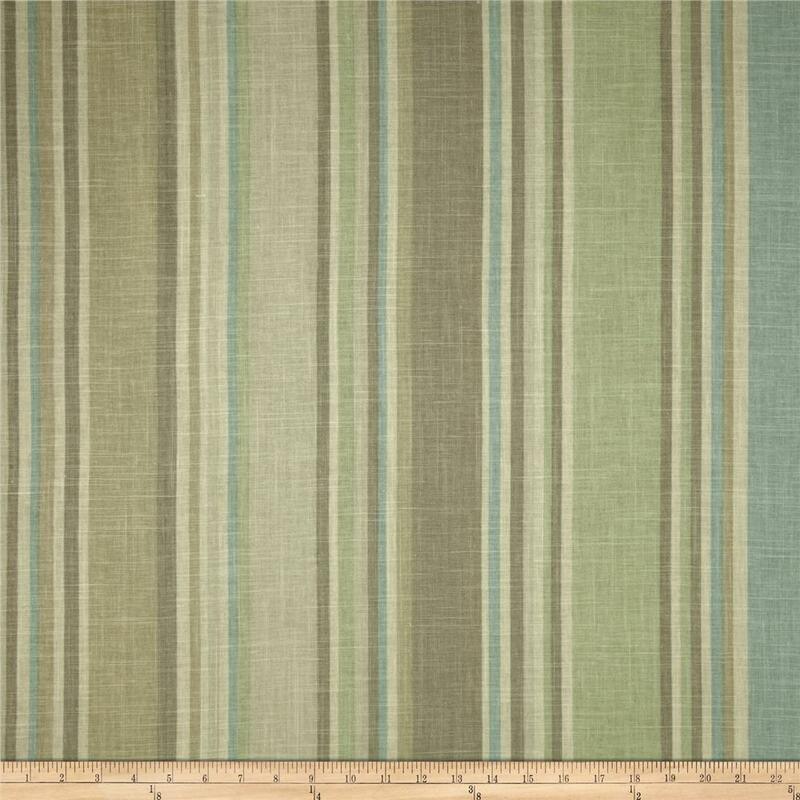 Maybe to something like this one...all the colors are in this striped material, grey, aqua and green. Here is my inspiration put together, all next to each other. I think the colors could work together. So, here I am at a crossroads. Trying to make the most out of a paint situation that looks like it may have been the wrong choice. Let's see if I can make this work.